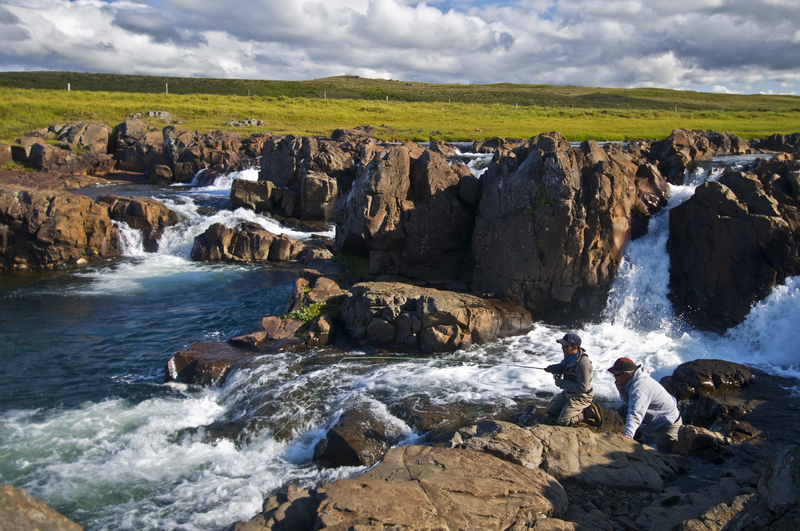 Recruitment and year class strength of juvenile Atlantic salmon has been monitored annually in River Miðfjarðará since 1984. 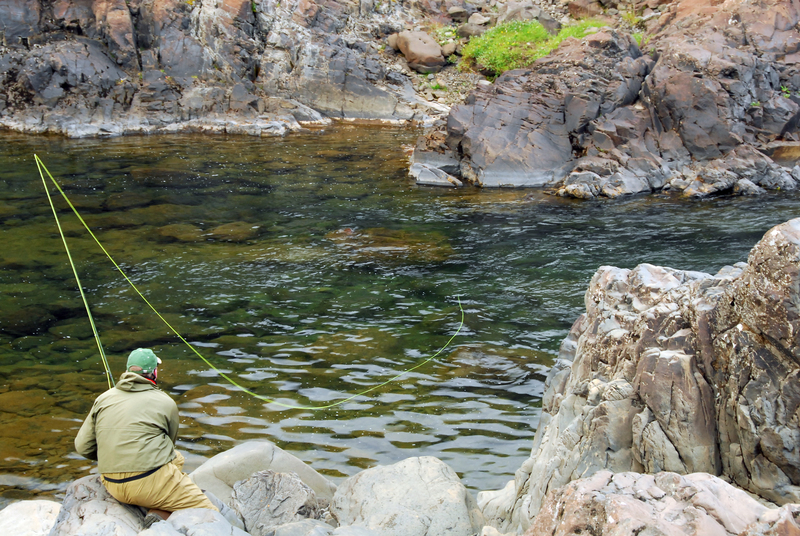 We make a close look at population dynamics in the whole river system, sampling and measuring juvenile salmonid fishes, and estimating numbers of salmon smolts expected to migrate to the sea every spring. 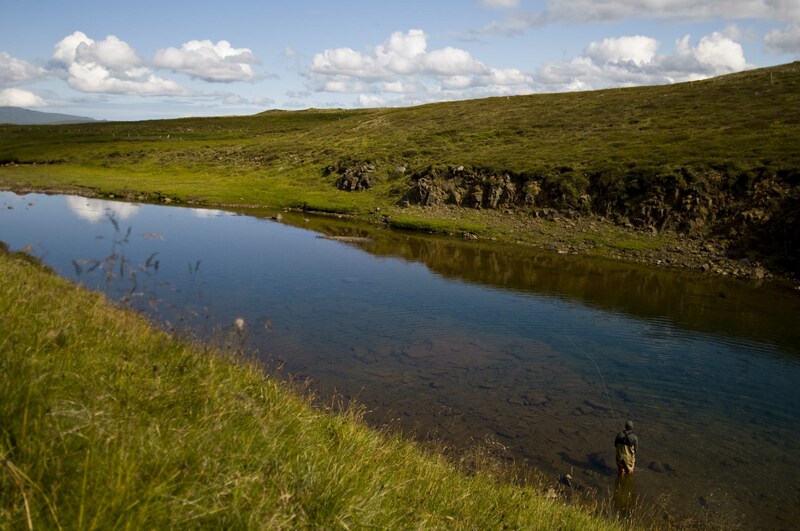 Currently, the status of salmon populations in River Miðfjarðará is healthy and strong, with all tributary rivers now in good standing. The prospects for the next years continue to be positive. 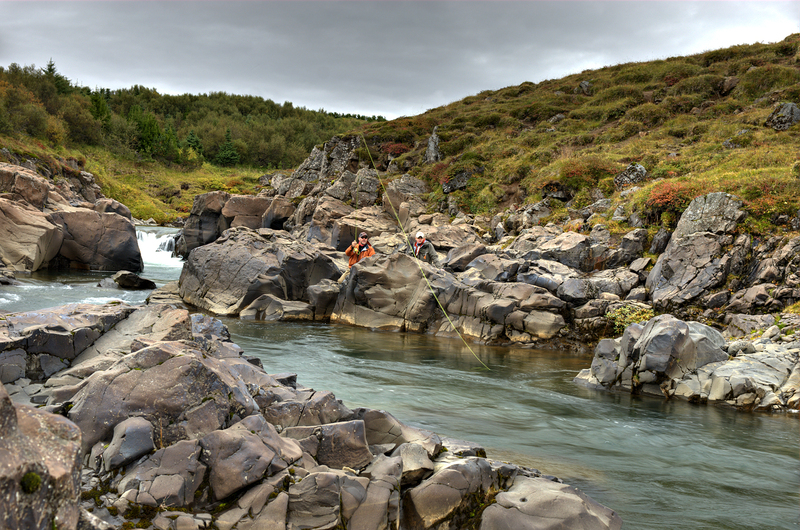 Some of the best years seen in terms of year class strength and growth of juvenile salmon in River Miðfjarðará, have been in the last decade. New records have been made in overall salmon catches during this time, with excellent salmon runs in most years. Higher growth rates have resulted in some portion of the juveniles attaining smolt sizes a year earlier, giving more space for feeding and shelter for the remaining young ones. This has enhanced further the greater salmon runs we have seen lately. Unfortunately, unfavourable conditions at sea, and probably delay in seaward migration of smolts last year, due to harsh spring weathers, both contributed to unusually high mortality rate of salmon from that year class from most Icelandic rivers. This was evident in the drop in salmon catches last summer. 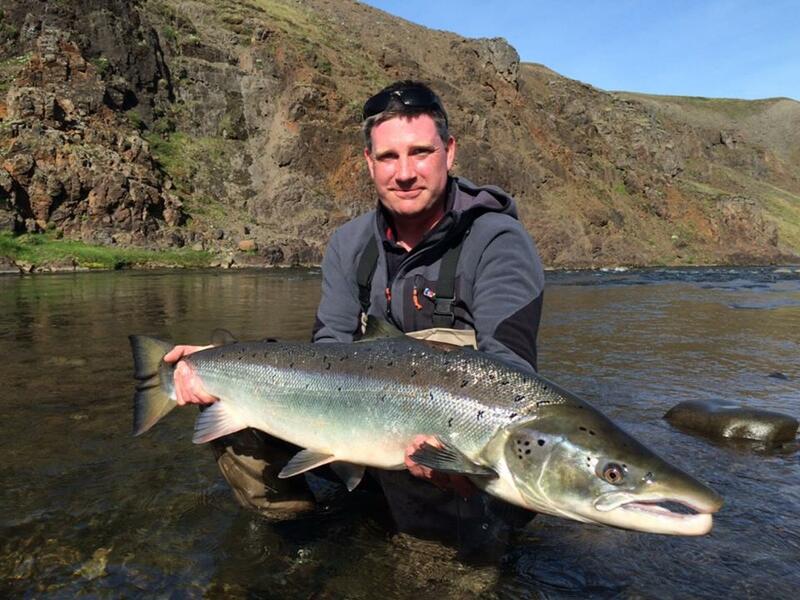 Although River Miðfjarðará did suffer some from these conditions, it still delivered good fishing in 2012, and much better than most other salmon rivers in the country, due to the large number of smolts in the spring 2011, that made up the run of grilse in 2012, salmon that have spent one year at sea before returning. Last spring was relatively favorable for seaward migrating juvenile salmon. 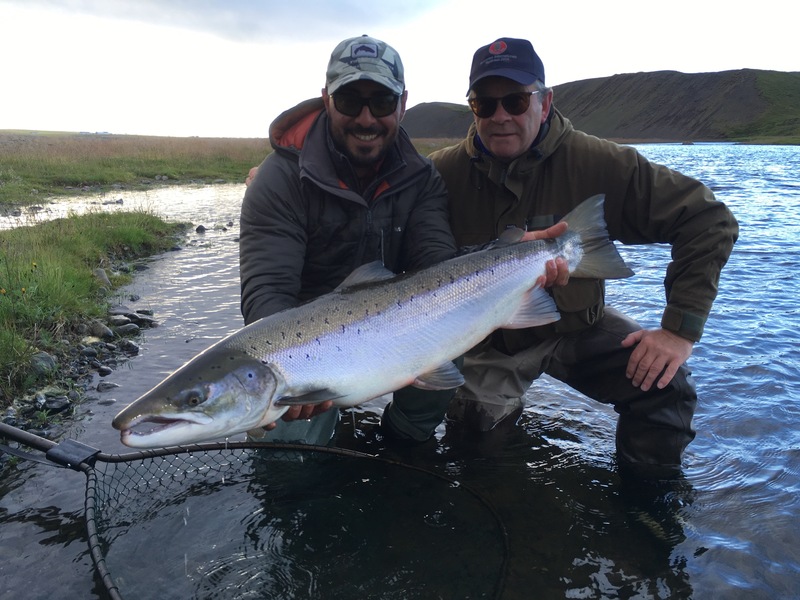 This, coupled with strong year class of smolts, fulfills everything necessary to expect good salmon fishing in River Miðfjarðará next season, and keep the river at the top of the board for salmon rivers in Iceland in 2013.